This pen has been lovingly used. It does not come with a box or papers. 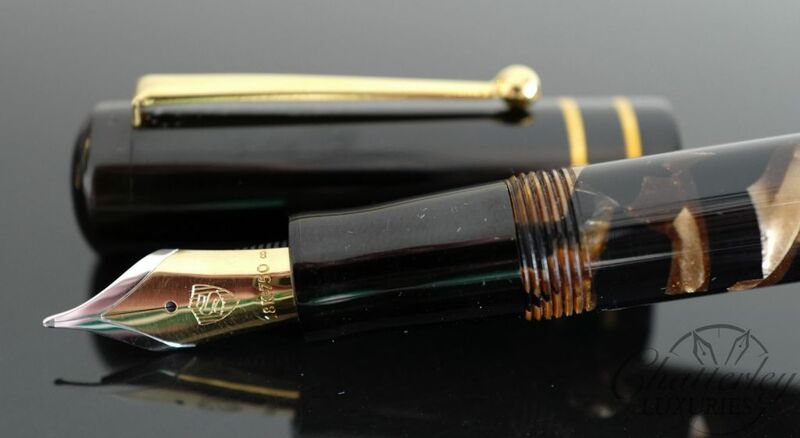 It is equipped with an oversized 18k Broad nib. The cap is made of a black ebonite, while the body is made with a Vintage Parker Brown Crush celluloid. 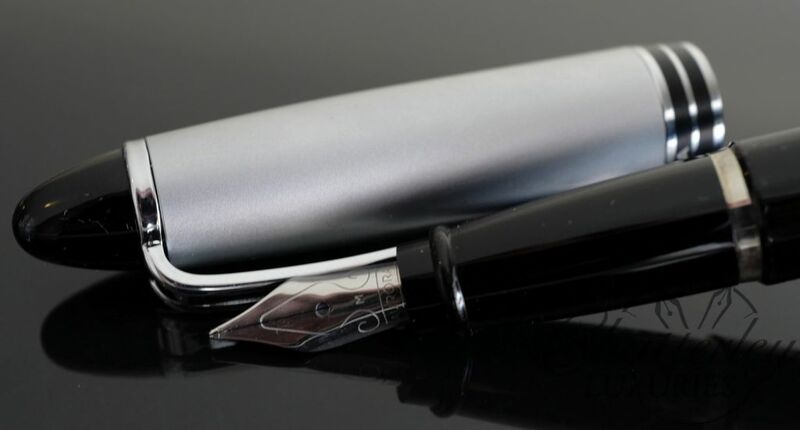 The Novelist has a streamlined profile with a straight barrel that tapers at the end and a cap with a slightly rounded finial. 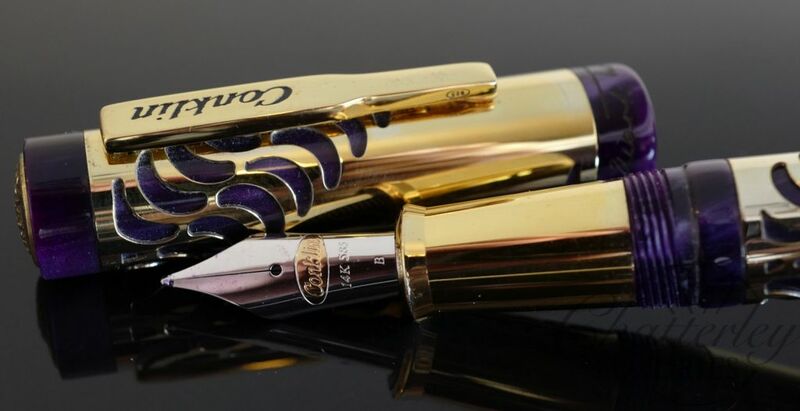 It is designed in an Intermediate size, between a Medium and a Large, so that it can accommodate the bigger #8 nib that so many people love, in a more manageable pen size than the usual Large.